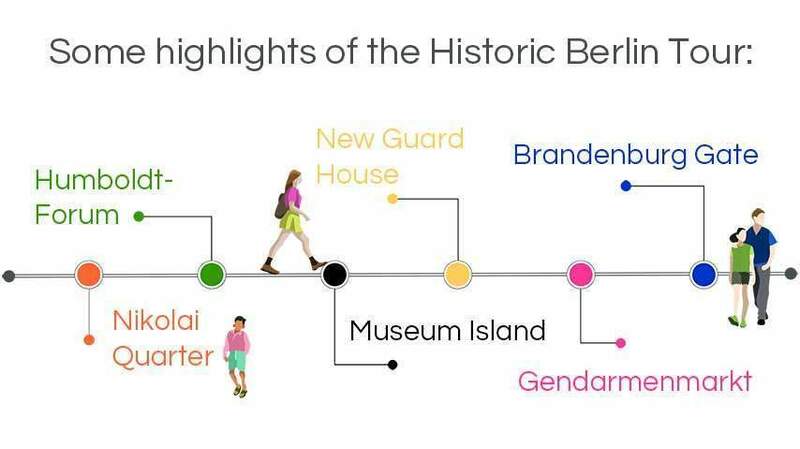 A walking tour for exploring Berlin’s highlights between Nikolai Quarter and Brandenburg Gate. Starting with Berlin’s beginnings in the Middle Ages, we then move on to its splendid days as the residence of Prussian Kings – and, later, German Emperors. But don’t worry – we won’t leave out the more recent, often turbulent history of Germany’s capital. On the tour, you’ll see many of Berlin’s major sights such as Museum Island, the Berlin Cathedral, the City Palace construction site and Brandenburg Gate. Architectural highlights include the avenue Unter den Linden and Gendarmenmarkt, which boast buildings from the time of King Frederick the Great and of the ingenious German architect, Karl Friedrich Schinkel. 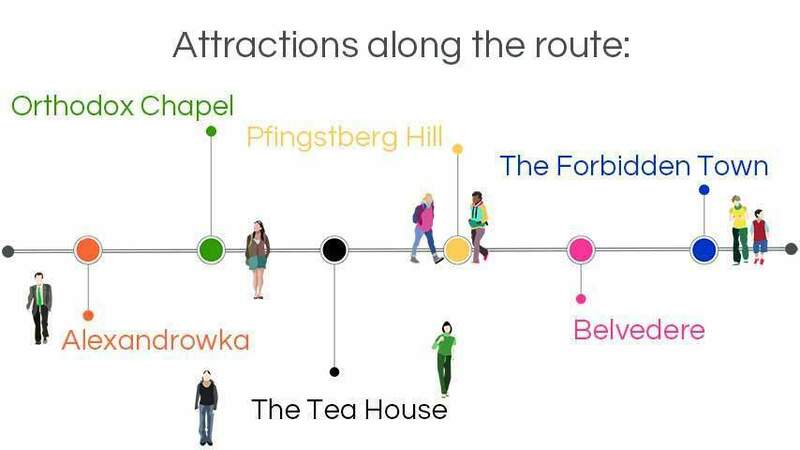 The perfect choice for getting to know Berlin! 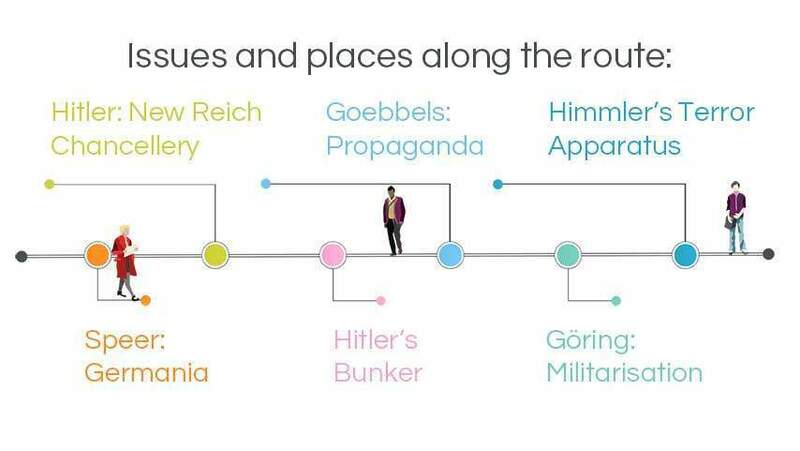 From the Reichstag building to Hitler’s bunker – Nazi regime locations from its rise to its fall. After Hitler was appointed Reich chancellor, the National Socialist dictatorship was established within a very short time. Germany’s historic government quarter along Wilhelmstraße was transformed into the regime’s centre of power. Joseph Goebbels’s Ministry of Propaganda and Hermann Göring’s Ministry of Aviation were located only a few steps away from the Reich Chancellery. The first two buildings mentioned still exist and will give you an impression of Nazi era architecture. 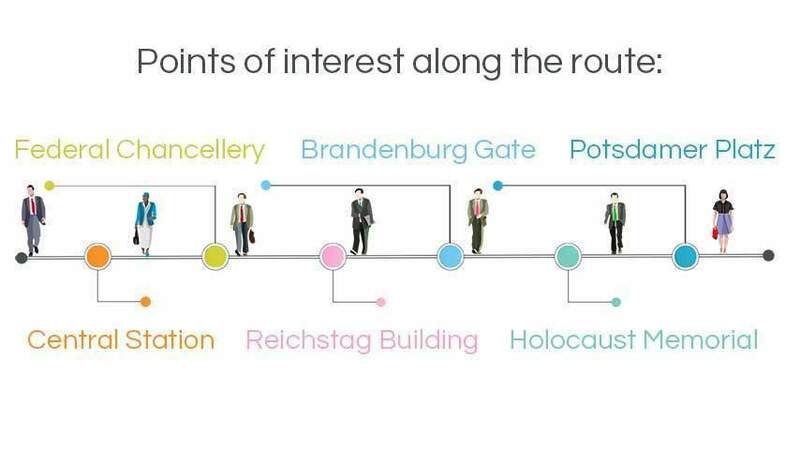 In offices near Brandenburg Gate, Hitler’s architect Albert Speer worked on his megalomaniac redevelopment plans for Berlin, known as the Germania project. This city walking tour will lead you through different historic areas and also help you imagine places that were destroyed during the Second World War or afterwards. History, architecture, sports and entertainment. A look behind the scenes of this famous arena. Many visitors associate Berlin’s Olympic Stadium first and foremost with the 2006 FIFA World Cup, the DFB-cup final, the local football club Hertha BSC or think of it as a concert venue for famous pop singers and rock stars. Actually, it is the complex relationship between sports, history and architecture which make it one of Berlin’s most important attractions. Although the stadium was refurbished between 2000 and 2004, it is still definitely an impressive historic landmark. 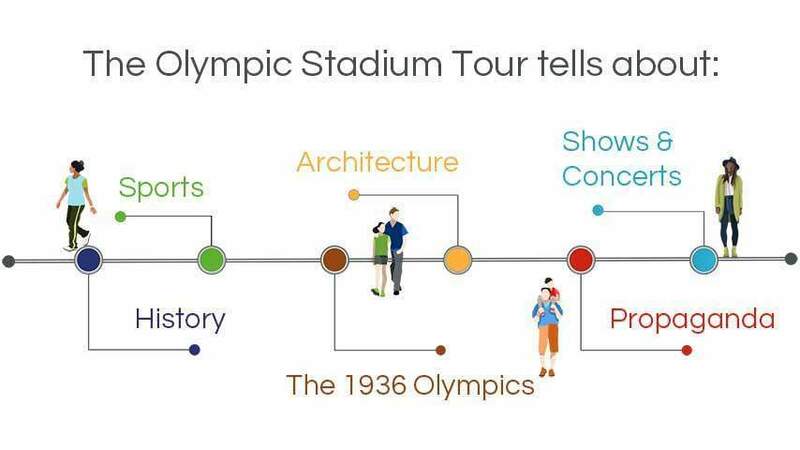 One of the first large-scale urban projects of the Nazi regime – which used the 1936 Olympics as a tool for propaganda – the stadium is testament to how much emphasis Hitler placed on architecture and the seduction and manipulation of the masses. During this tour, you will also have access to places normally closed to the general public, such as the VIP lounges and changing rooms. This walking tours berlin takes 60 or 90 minutes. Kurfürstendamm offers much more than mere shopping. Discover the attractions of City West! Of course, this still is the place to shop ‘til you drop in Berlin. Not only do you have the magnificent boulevard Kurfürstendamm, you also have Tauentzienstraße; both are chock-full of boutiques and clothing retailers where even the most discriminating shopaholic can get their fix. The legendary KaDeWe department store is an especially famous attraction. But, besides those found in shop windows, there are also many other treasures waiting to be discovered. Among others, these include the 1950s style Zoo Palast cinema, the Bikini Berlin Concept Mall, beautiful villas with art galleries and cafés, a number of contemporary high-rise buildings aspiring to be the new proud landmarks of City West and, last but not least, the Kaiser Wilhelm Memorial Church – definitely among Berlin’s top ten sights. No man’s land, watchtowers & escape tunnels – Remains of the Berlin Wall along Bernauer Straße. 2014 saw the 25th anniversary of the fall of the Berlin Wall. By now, the city has grown together and most remnants of the partition have quickly been removed. But in some places you can still experience in what relentless way Berlin was parted for 28 years. The area around Bernauer Straße gives you a striking insight: a former “Ghost Station”, a partly cleared graveyard, the remains of a blown up church in the former death strip as well as a reconstructed part of the wall demonstrate the brutality of the border installations. Checkpoint Charlie, prohibited zone, Palace of Tears – traces of the Cold War in the city centre. This city walking tour starts at Leipziger Platz, where it initially follows the former border between East and West Berlin. 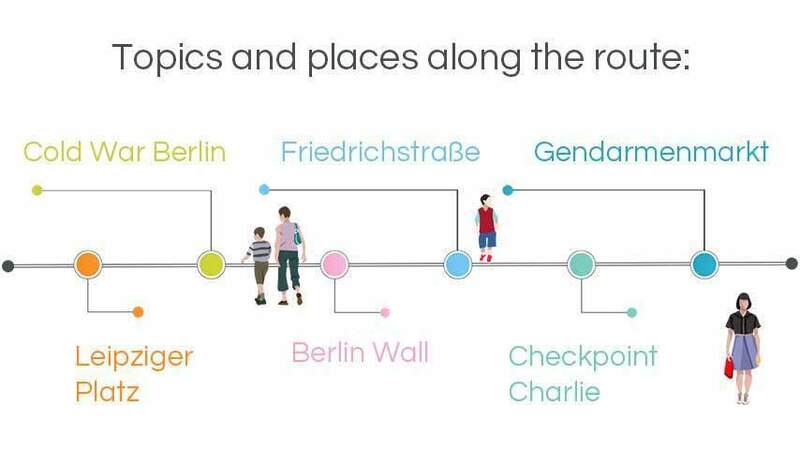 You’ll see a watchtower, a 200-metre-long remnant of the Berlin Wall on Niederkirchnerstraße as well as the area around Checkpoint Charlie, which all still aptly illustrate the harshness of German division. Later, we will walk down Friedrichstraße to the Palace of Tears – a former border crossing point for railway traffic towards West Berlin. You’ll also discover many other fascinating places along the way such as the Martin-Gropius-Bau exhibition hall, the Ministry of Finance building and Gendarmenmarkt. Trendy Yuppieville? Hipster land? Idyll for top earners? A borough that fascinates and divides! The walk from Senefelder Platz to Mauerpark addresses the changing face of this trendy neighbourhood. 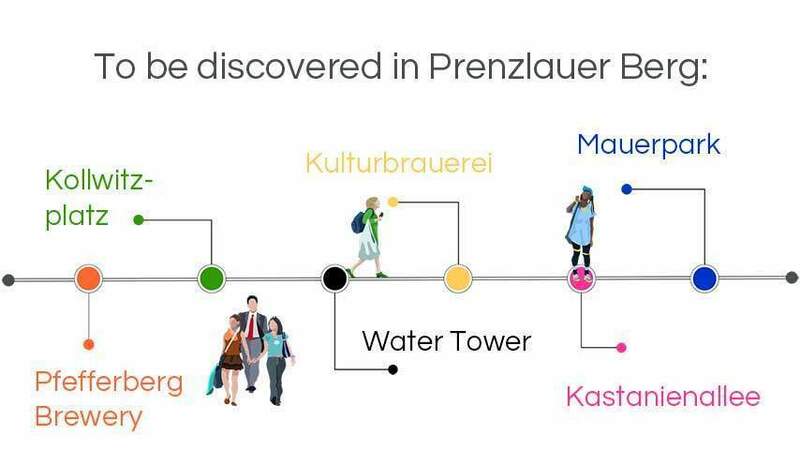 A stroll through Pfefferberg and Kulturbrauerei, two former beer breweries, clearly shows the important role the art of brewing once played in this area; both are now popular venues for entertainment and culture. Beside the party and hipster central streets full of trendy eateries and gastronomic hotspots, there are also tranquil areas like Kollwitzplatz. 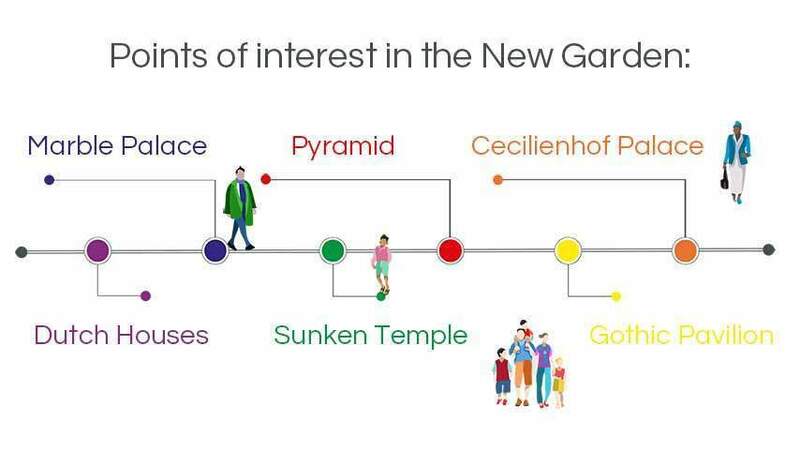 The opulently decorated tenements are now firmly in the grip of top-earning newcomers – the high potential for conflict included in the price…..
Good-bye Bohemians. From a multi-cultural paradise for dropouts to a hotbed of gentrification? A motley mix of beautiful Gründerzeit era houses, funky shops, bars and restaurants, Oranienstraße is home to a vibrant, thriving nightlife with an alternative feel. None of this would be true today if West Berlin’s transport planners had had their way: they once had big plans to build a motorway through the neighbourhood. Luckily, activists and valiant squatters protested and prevented this urban development nightmare from becoming a reality. The area became the heart and soul of Kreuzberg’s subculture. Today, many of the original inhabitants fear being pushed out of this increasingly trendy area because of rising rent prices. 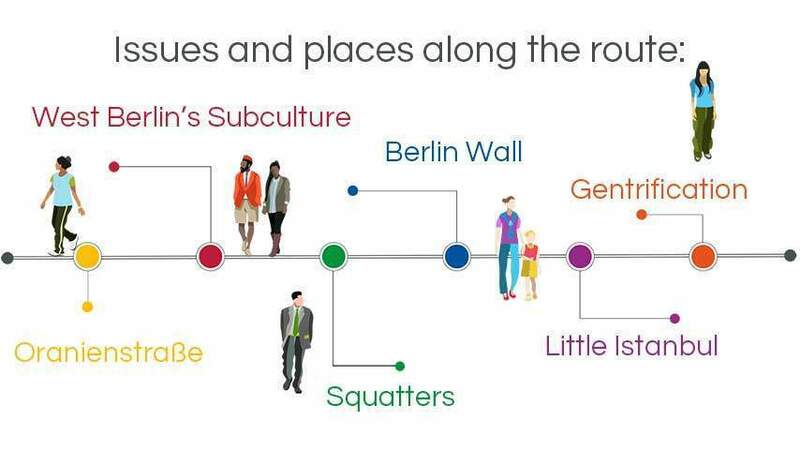 Major projects for Germany’s capital: Experience Berlin’s rapid change from 1989 until the present. 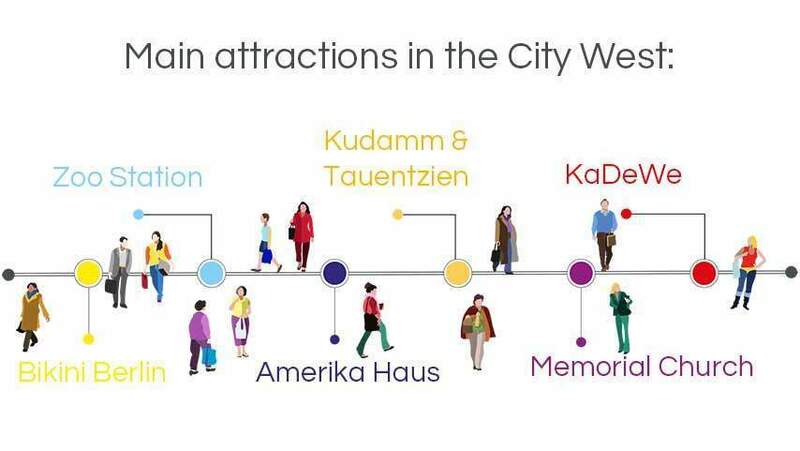 Incredibly varied, this city walking tour starts at Berlin Central Station, one of the most large-scale and impressive civil engineering and traffic projects in the city. In the area around the station, many new quarters and buildings are either at the planning stage or currently under construction. The tour continues by taking a closer look at Germany’s centre of power with the Federal Chancellery and the Reichstag building which is the seat of the parliament. Another very central project was the reconstruction of Pariser Platz around Brandenburg Gate. Modern structures such as the Adlon Hotel or US Embassy were designed whilst still keeping the building tradition of this famous square in mind. The tour passes by the Holocaust Memorial, then continues on to Potsdamer Platz, where an important city quarter was recreated since 1994. 19th century splendour, cosy courtyards and Jewish culture – Getting in touch with Old Berlin. In the surroundings of Oranienburger Straße, magnificent buildings of the 19th century like the New Synagogue and the former Imperial post office building can be found. Several streets still hold an unspoilt atmosphere of Old Berlin. Besides the Hackesche Höfe courtyards, we will visit the Sophienstraße and the Große Hamburger Straße, in which traces of the Jewish history and culture of this neighbourhood can be discovered. Today this part of the city belongs to one of the most popular quarters of Berlin with its pubs, cafés and boutiques. The timelessly beautiful favourite of Prussian kings and current proud capital of Brandenburg. Potsdam had been a favourite residence of the Hohenzollern dynasty since 1660. The princely rulers created a city after their fancy: The Great Elector erected a palace on the Havel river, the Soldier king enlarged the city to accommodate his troops and Old Fritz transformed the Spartan garrison town into a Baroque gem. 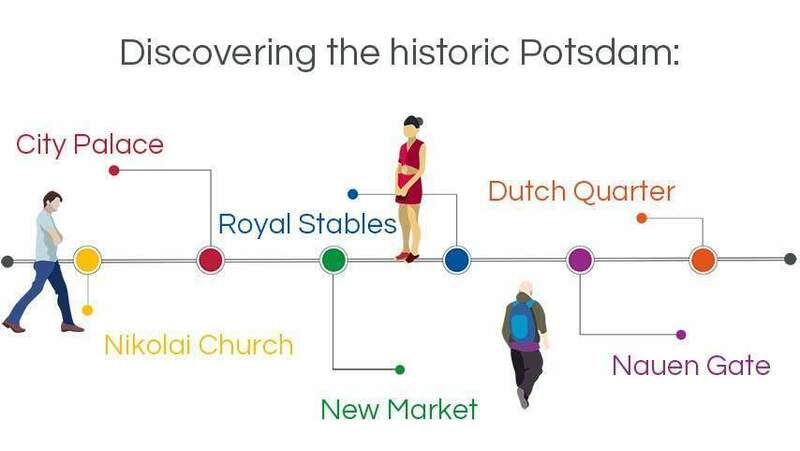 Until today, Potsdam has still kept much of its historic flair. Many notable buildings destroyed during the Second World War or by the urge for urban renewal have been reconstructed in the past few years – for example, the former City Palace which is now the seat of Brandenburg’s state parliament. The search for happiness and freedom – where Frederick the Great sought to escape his sorrows. The favourite summer residence of Frederick II, Sanssouci Palace, sits gracefully at the top of a vineyard. This is where he dined with his circle of close confidants, talked philosophy with Voltaire, gave flute concerts and found his final resting place. 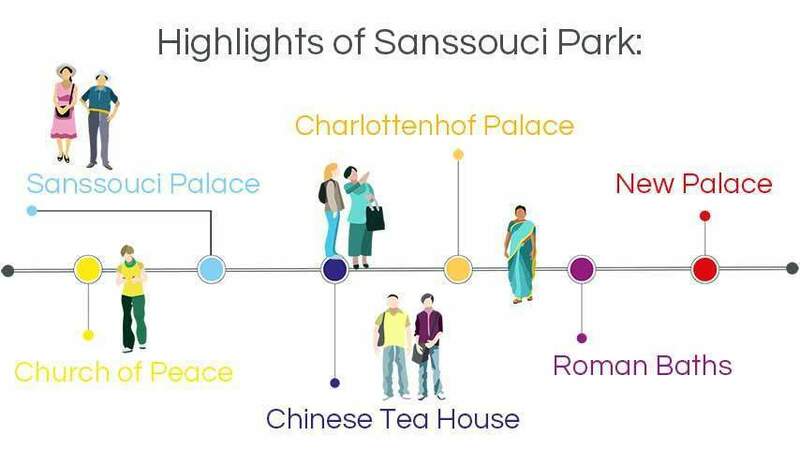 A World Heritage Site since 1990, Sanssouci Park is a pinnacle of European garden design and includes many more magnificent buildings such as the impressive New Palace and fanciful Chinese Tea House. In the 19th century, King Friedrich Wilhelm IV enriched the park with picturesque structures such as Charlottenhof Palace, the Roman Baths and the Church of Peace. When you take a stroll through the park, the diverse garden landscape is sure to wow you time and time again. Sunken temples, pyramids and world history! Potsdam’s New Garden offers many surprising moments. On the banks of the lake Heiliger See, an English landscape garden with several lovely buildings awaits. Starting in 1787, it was created as the summer residence of King Friedrich Wilhelm II. Legend has it, that this king was more interested in frivolity than the hard work of ruling; this earned him the not so flattering nickname “Fat Good-for-Nothing”. Still, he certainly was a great patron of the arts as we will see during our walk through the park. Last but not least, the tour will show you Cecilienhof Palace, the summer manor of Wilhelm, the last German crown prince. In 1945, this palace was also the site of the Potsdam conference, where Stalin, Truman and Churchill negotiated terms after the end of the war, making it a historic place of world renown. How Russian culture came to Prussia & why Potsdam’s most beautiful view makes you dream of Italy. The Russian colony Alexandrowka is a memorial to the alliance between King Friedrich Wilhelm III of Prussia and Tsar Alexander I of Russia during the Napoleonic Wars. When Alexander died in 1825, to pay tribute to him, his former ally and friend commissioned a settlement with 13 Russian style blockhouses and beautiful gardens. A small Russian Orthodox Church dedicated to Alexander Newski was also built nearby. Only 500 metres away from this “Little Russia”, the Belvedere on the Pfingstberg hill will make you think you’ve just wandered into Italy. In 1847, King Friedrich Wilhelm IV started the project of a palace that was inspired by Italian Renaissance villas. Although the Belvedere building was never brought to completion, the most striking views over Potsdam and its surroundings can be seen from atop its towers. Please note: Although a visit inside the Belvedere or to its viewing platform is not included in our tour, we would be more than happy to arrange it for you.